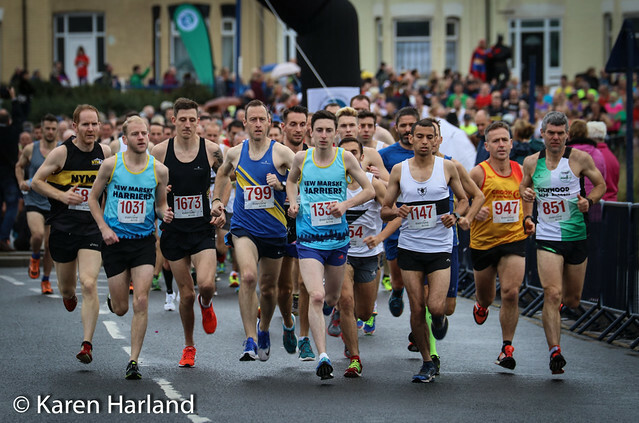 We have published the Provisional Results for the Recdar Half Marathon races. A great turnout for New Marske at the Middlesbrough 10K. Andy Wiles picked up the 4th place prize in 31:52 with Kay Neesam, Sharon Bulman and Kath Aspin also in the prizes. Well done to our winners today, Lewis Gamble-Thompson 32.44 and Alice Smith 37.36. Please note that after 20 years of having entries on the night future Coast Road 5k races will online entry only. This is because the races have become increasingly popular and people who turn up after the race is full are understandably upset. We don't wish to have a situation where volunteers become embroiled in heated exchanges. Another sell out 5k means all future 5K's will be pre entry only as detailed above. Mark Shaw showed his talent with an easy victory in an impressive 14:51 in slightly windy conidtions. Not quite enough to win the 1st Prize based on age graded % which was won by NYMAC's Paul Lowe with 88.9% for his 16:13 and 5th place overall. The first 25 age graded will recieve prizes and these can be seen by sorting the table on the link below. Thanks go to Kevin Speedie and his team of volunteers for supporting the event. Another great weekend at the London Marathon which appears to get bigger and better every year. Not sure if it was the better weather, but everything appeared to be busier this year. The expo was busier, the start area was busier, the number of runners appeared bigger and the volume of spectators was significantly higher than last year. Kay Neesam celebrated being the youngest 50 year old on the start line (it was her birthday!) by claiming the New Marske Harriers Vet 50 marathon record. A number of PB’s from the men including a negative split for Martin Murray and not so far off from Michael Lyth who joined the sub 3hr club. Well done everybody!